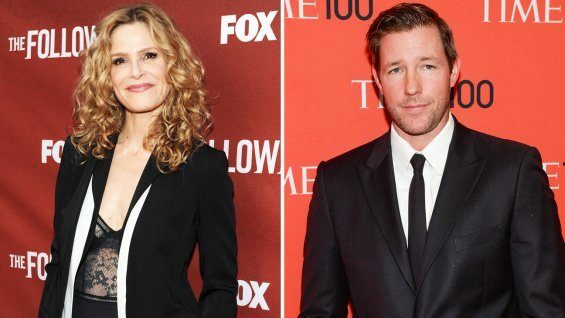 Turner-owned cable network TNT has picked up both Proof and Public Morals to add to its growing list of original dramas. Proof is a supernatural vehicle starring Jennifer Beals as a surgeon struggling with family issues who is convinced to investigate reincarnation with the help of funding from a millionaire, played by Matthew Modine. Joe Morton also stars. Rob Bragin wrote the pilot for and executive produces with Tom Jacobson, Jill Littman, Alex Graves and Kyra Sedgwick, who continues her association with TNT after earlier starring in The Closer. Callum Blue, Edi Gathegi, Annie Thurman, Sean Gleeson and Caroline Rose Kaplan round out the cast. Public Morals, which hails from Amblin TV, was produced and written by Burns, who also plays a leading role in the show. Set in 1967, Public Morals focuses on New York’s titular Public Morals division, where cops regularly tow the line between morality and criminality as the temptations of vice threaten to take over their lives. Burns plays Terry Muldoon, a cop that recognizes the darkness of the world he lives in, and is determined to raise his sons to be honest and hardworking against the backdrop of carnality which surrounds them. Burns executive produces with Steven Spielberg, Justin Falvey, Darryl Frank and Aaron Lubin. Michael Rapaport, Elizabeth Masucci and Ruben Santiago-Hudson also star. Proof and Public Morals join a rapidly growing slate of original dramas including Falling Skies, Dallas, Franklin & Bash, Perception, Rizzoli & Isles, Major Crimes as well as upcoming entries The Last Ship, Legends, Murder in the First and recently revived drama The Librarians. Both shows have received 10-episode orders, and will premiere sometime in 2015.